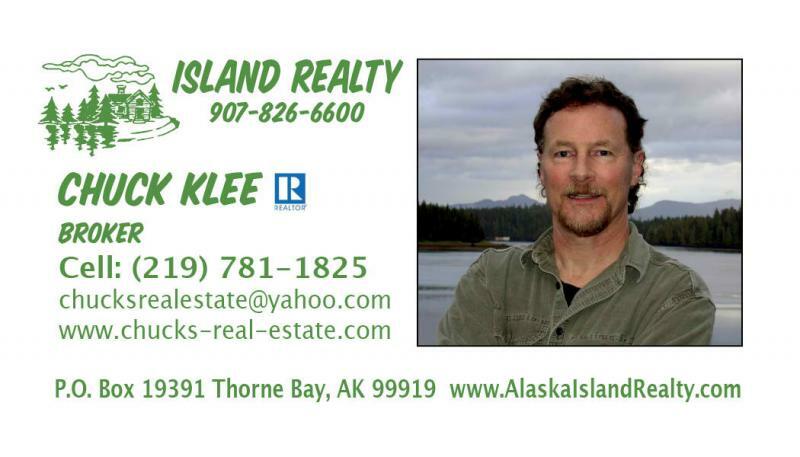 If you see something you like on Prince of Wales Island or Ketchikan, but it's listed with one of the other real estate firms below, I can still help you buy it. Contact me. As a 27 year resident of POW, my observations have benn that most FSBO properties are considerably over-priced, and steeped in hype & emotion, rather than facts. As a result, they are usually for sale for considerably longer than if llsted with a REALTOR (in some cases, FOR YEARS)﻿. When a Seller's ad reads "Serious Offers Only", or "Must to See to Appreciate", you can bet it's one of those cases. More than likely it's grossly over-priced and the Seller is the one who needs to become "serious" if their goal is to sell. Don't let FSBO prices scare you off though. If you really want one of these properties, make an offer based on what YOU think it's worth. You may be suprised what a Seller is wiling to accept! At the very least you will have started the negostiation process, and will find out where the Seller is REALLY at. If you aren't comfortable buying without a licensed agent, or don't want to wade through all the hype & misinformation,﻿ Contact me. I can probably give you some local insight into these properties, represent you in the transaction, and help you make a reasonable & informed offer, for only 3% of the accepted offer price. Remember, just because a Seller chooses to deal without the protection of a certified State-of-Alaska licensed professional & REALTOR, (like boating without a life jacket), doesn't mean you have to! Check out my FOR SALE BY OWNER button. I have known Debra for over 10 years. She has graciuosly invited me on a couple of her Maui "caravans" to view her properties, and those of her peers. Debra is a top-notch REALTOR, and I highly recommend her for your real estate needs on Maui, or anywhere in Hawaii! Voted Realtor of the Year in 2012. See my Rental button at lower left, if you want to advertise your vacancies.